Canbyfield LodgeSelf-cateringCanbyfield Cottage is located on an arable and sheep farm, near to the villages of Seagrave and Sileby in rural North Leicestershire. The cottage has recently been created from the conversion of loosebox and single storey barn, which formed part of the farm courtyard at Canbyfield Lodge. Holiday and business visitors will find the self catered accommodation decorated to a high standard and furnished with a selection of antique and modern furniture to provide stylish and comfortable accommodation. The cottage is accessed via a private farm track of about half a mile. The well equipped, self catered accommodation is ideally suited for short or long stays. The property has a rural location and well placed for easy access to nearby Lougborough, Melton Mowbray, Leicester or Nottingham. The facilities include ample parking, free unlimited WiFi, smart televisions and a south facing garden with patio and views over the farm fields. 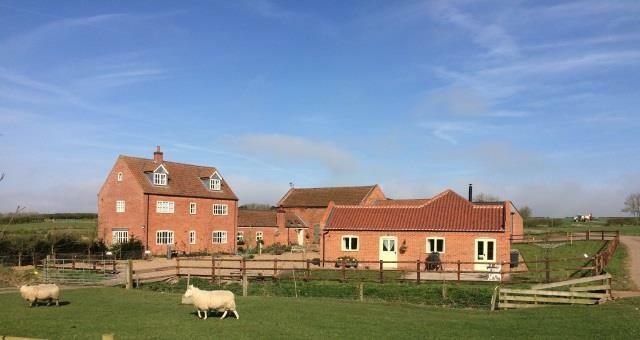 Canbyfield Cottage is located on an arable and sheep farm, near to the villages of Seagrave and Sileby in rural North Leicestershire. The cottage has recently been created from the conversion of loosebox and single storey barn, which formed part of the farm courtyard at Canbyfield Lodge.